FOX Sports has secured National Basketball League games for the next five years. 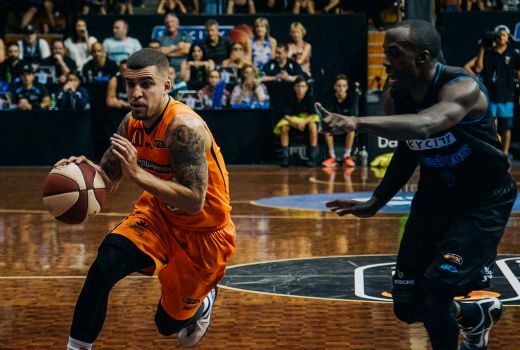 The deal will see NBL games telecast live in high definition at 7:30pm AEDT across Wednesday-Saturday evenings throughout the 19 week regular season. FOX Sports will also broadcast Sunday games and more than 12 double header games between 5:30pm and 9:30pm across Wednesday – Saturday. The deal will be reviewed at the end of the 2015/16 season. The NBL also is in discussions with other networks for one weekly live game to be simulcast on Free to Air. Executive Director of the National Basketball League Larry Kestelman said, “We are excited to announce our partnership with FOX Sports and Foxtel. We are dedicated to making the NBL a best in breed, professional and commercial product that delivers the best entertainment on offer to the public over the summer, and today’s announcement is a huge step in that direction. “Fans love watching sport live – and being able to deliver basketball, produced to the high standards for which FOX Sports are renowned, live to our fans is of fundamental importance to being a premier summer-sport in Australia. “Basketball has the highest levels of participation of any sport played by Australian kids, and enormous popularity across all genders and cultures. The potential for our league to partner with other basketball leagues around the world, particularly in Asia, but also in the United States and across Europe, is of significant importance; it is what differentiates us from so many of the other front line Sports in Australia and it opens up a number of growth opportunities. FOX Sports CEO Patrick Delany said, “Basketball is one of the most popular Sports in the world and is booming in Australia due to the recent success of our home-grown NBA stars. “With more Aussie kids playing the sport than ever before and interest soaring, basketball is entering an exciting new era in Australia and we are thrilled to be partnering with the NBL at such a watershed moment. The first game will be played on Wednesday 7 October when Adelaide play the New Zealand Breakers at home. Broadcast arrangements for New Zealand are yet to be finalised. David do you know if NBL have secured a FTA portion yet. It would be really poor if they cant manage atleast 1 game on a Sunday arvo similar to ANZ championship. it wouldn’t be saying much for the negotiating team. This would be the only part they have not excelled at. I know the NBL have little clout but if ANZ championship can get a 1 game a week on sunday surely the NBL which in my oppionion is better and involves more skills should be able to get a similar deal. Tv wise they are the same the same amount of opportunity for ads not much because of how the sport is. although ratings are the key. Yes I am a Foxtel subscriber, looking forward to this. Hopefully ratings hold up for continued coverage. Good news for Fox Sports when they have matches in HD. Good news for the league but not for fans. Although in reality the NBL did not have any choice. No option was perfect, because the league atm does not have much clout amongst broadcasters. Hopefully their will be some FTA coverage although not holding my breath. Last time the NBL was on FOX it was treated poorly. Also TEN also treated the league poorly when its strategy changed. Maybe they can struck a similar deal to the one that Netball have. hopefully WNBL will gain some coverage too. No NBL.TV has closed down and all games will be on Foxtel. Another good job by Foxtel and it will help Basketball in this country to have every game Live and in HD. Great news for NBL fans. Will be interesting to see what the review after the season entails and what future coverage will be like if the ratings aren’t where Fox Sports want them to be. Unfortunately the ratings haven’t been good for the NBL for probably ever so can’t see it changing in one season. Will enjoy the coverage while it lasts though.